Indian City, USA was founded on the very site of the massacre of the Tonkawa Indians by the Shawnees and other mercenaries during the Civil War. Due to their loyalty to the Confederacy, the tribe was nearly exterminated by pro-Union Indians. In October of 1862, warriors from the Delaware, Shawnee, and Caddo tribes united to attack the Tonkawas. 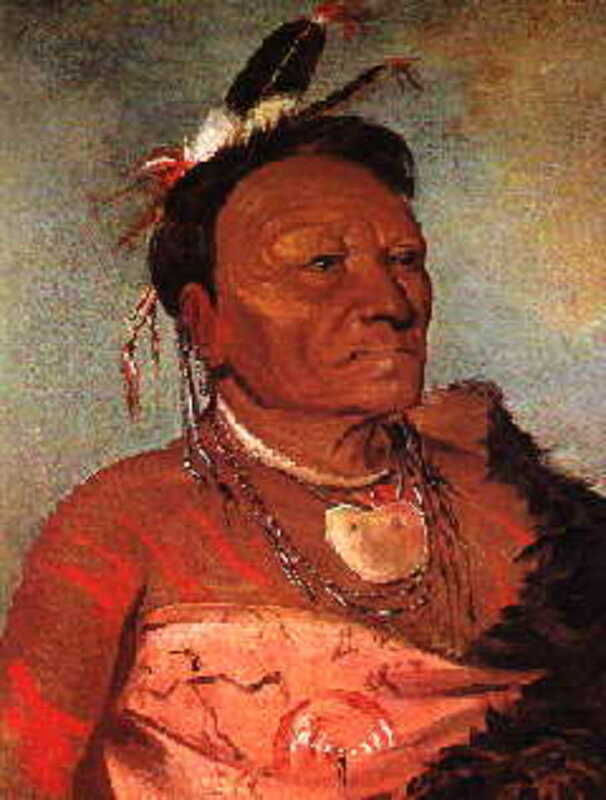 At the time, there was only 309 Tonkawas living in Indian Territory. After the massacre, only 176 Tonkawas remained. Those remaining Indians were relocated to Texas at the conclusion of the Civil War. After relocation, the Tonkawas served as scouts for the United States Army. Nearly one hundred years would pass before the land around Anadarko would once again become host to the ancients. 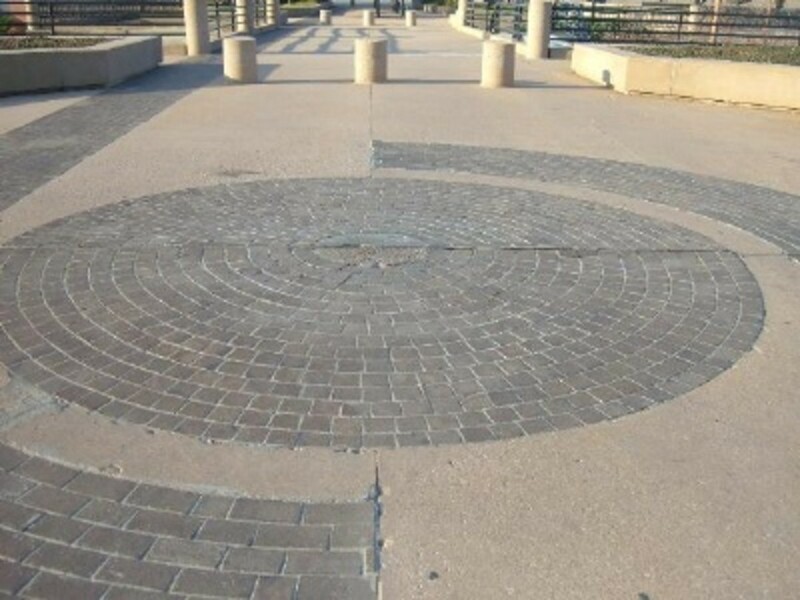 Created in 1955 with the help of University of Oklahoma anthropologists, the villages of Indian City were meticulously planned and constructed under the supervision of the Department of Anthropology at the University of Oklahoma. On top of a craggy knoll in central Oklahoma, near present day Anadarko, Indian City plays host to seven distinct tribes that once roamed freely across the United States. Indian City, USA is the only authentic restoration of American Indian dwellings and way of life in the United States. 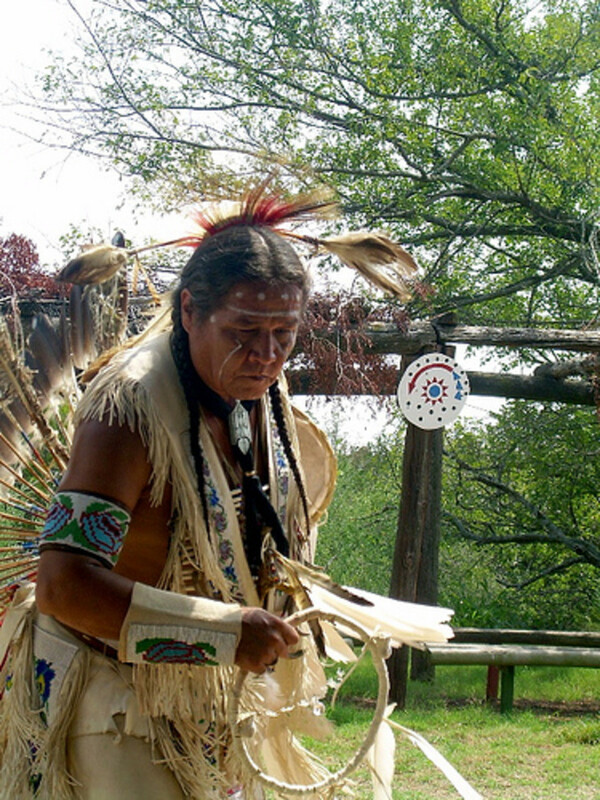 The Wichita, Caddo, Pawnee, Pueblo, Chiricahua, Apache and Plains tribes are spread out over 200 acres, each with their own full sized replica villages. The villages were designed with authenticy in mind. Each of the seven cultures depicted at Indian City, USA have been verified with the Anthropologists as well as members of each tribe. The villages depict all aspects of Native American life, including how the Indians lived their lives, their religions, and their cultures. 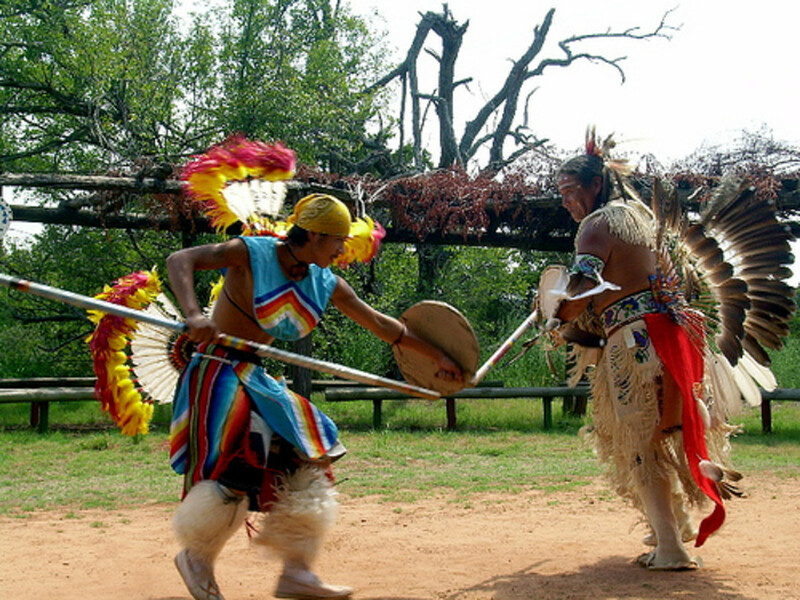 Each tribe, Cadoo, Pawnee, Apache, Navajo, Witchita, and Plains Indians, perform traditional dances at Indian City, USA, as well as practicing their special arts. One can witness Navajo Indian pottery skills, or learn about how the ancients would hunt buffalo. In addition to the seven Indian villages outside Anadarko, Indian City also houses a museum and a ceremonial dance ground that two Kiowa societies, Kiowa Black Leggings and O-ho-mah Lodge, have used for decades. The museum was established to preserve items of Indian origin and houses the most extensive display of Indian artifacts in the southwest. There is also a 140-acre exotic game pasture that includes animals such as buffalo, fallow deer, wild turkey, black buck antelope, emus, and llamas. Over time, the grounds of Indian City have fallen into disrepair, with many of the outdoor villages and Indian City building itself needing renovations. 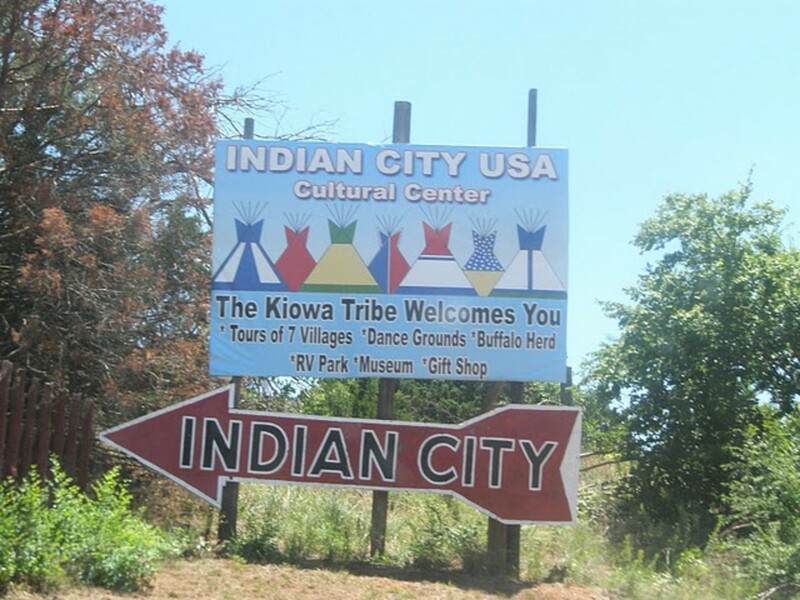 In 2004, the former owners of Indian City put the facilities up for sale, and the site was severely neglected until the Kiowa Tribe purchased the site on February 22, 2006. The Kiowa Tribe determined to keep the doors open to Indian City, and expanded its hours and days of operation to 9 a.m. to 5 p.m. seven days a week with the exception of major holidays. However, due to the poor conditions of the facilities, many areas had to be shut off from the public while the Kiowa repaired what was needed in order to keep the museum grounds open. Since 2006, the Kiowa have spent a great deal of time making improvements to the site. A new road has been created, and plans are underway to construct a large parking lot to accommodate tours. Plans also include building a state-of-the-art cultural center, restaurant, hotel, and a 500-seat amphitheater and stage. Proposed plans for the galleries in the proposed cultural center include devoting space to ceremonial organizations within the Kiowa Tribe such as Kiowa Gourd Clan, Kiowa War Mothers, Black Leggings, O-ho-mah and Kiowa Tia-Piah Society. The Kiowa have also worked hard with other Indian tribes to help make Indian City, USA as authentic and enjoyable as possible. Their plan is to create mini-working villages where members of each tribe represented live and carry on their daily lives in a traditional manner. In addition, they have removed all of the foreign-made items from their gift shop, and now only offer items of authentic origin. In a matter of just a few years, the Kiowa has brought back to life what was one of the greatest destinations in central Oklahoma. 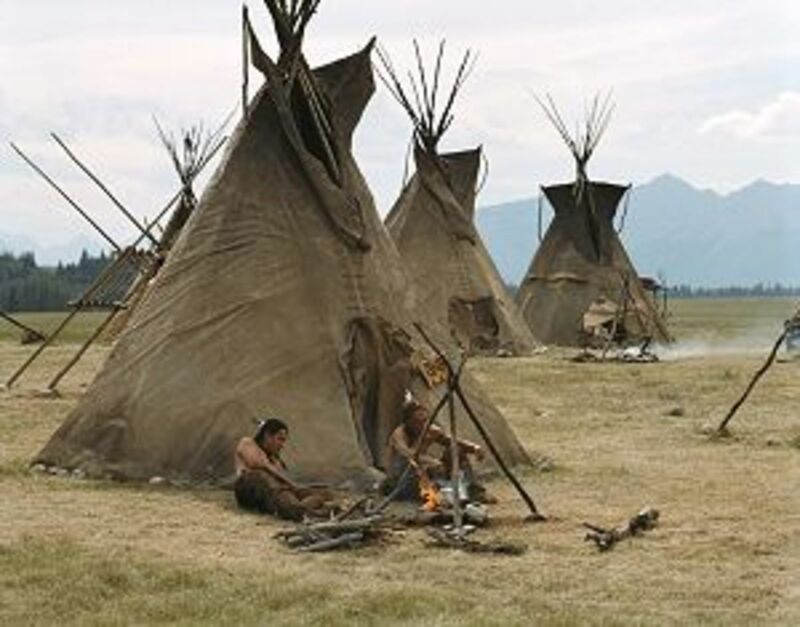 Indian City, USA remains the only authentic reconstruction of American Indian dwellings and way of life in the United States. Though it has better days, and efforts to restore the past glory of the site, it is still an amazing reconstruction of early Indian villages and how they function. 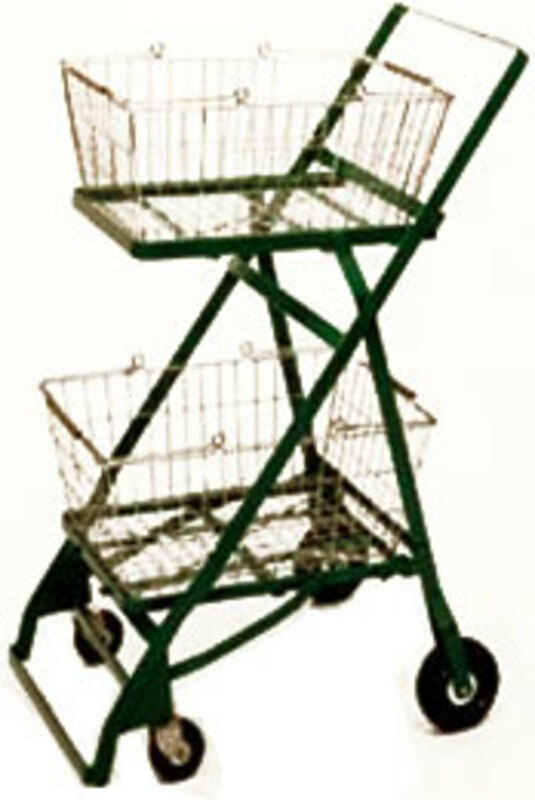 Great strides have been made in order to create this unusual attraction. With further funding and the dedication of the Kiowa Tribe, Indian City USA is sure to be one of the most spectacular locations in Oklahoma. Wee-Ta-Ra-Sha-Ro, Head Chief of the Wichita. The Wichita Indians were originally from southern Oklahoma and norhtern Texas. After Europeans arrived, population pressures forced them further north into Kansas, where the city of Wichita is named for them. Most of the Wichita people are living in Oklahoma today. The Wichitas regularly traded with other tribes of the Southern Plains and the Southeast, such as the Caddo and Comanche. Wars were often fought with other tribes. These wars weren't fought over territory, but instead, the wars were fought in order to prove their courage. Plains Indian war parties rarely fought to the death or destroyed each other's villages. Their war customs included counting coup (touching an opponent in battle without harming him), stealing an enemy's weapon or horse, or forcing the other tribe's warriors to retreat. Tribes the Wichitas typically fought with included the Osage and Apaches. The Caddo were originally residents of the southern Plains, particularly Texas, Oklahoma, Arkansas and Louisiana. Most Caddo today live in Oklahoma. Mainly, There were two different types of Caddo houses. 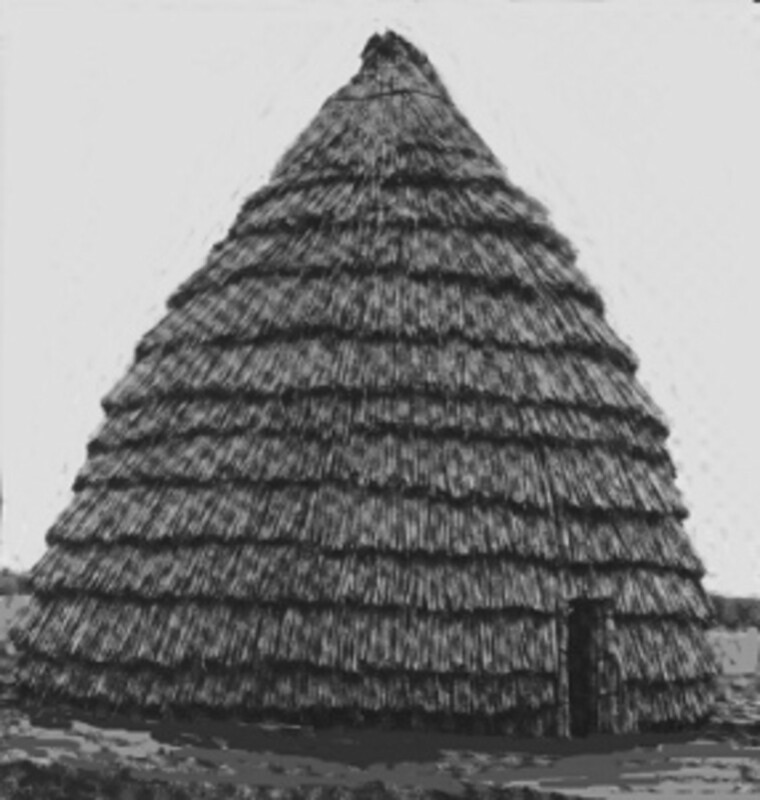 The eastern Caddos that lived in present day Louisiana built tall beehive-shaped grass houses like the one in the picture. 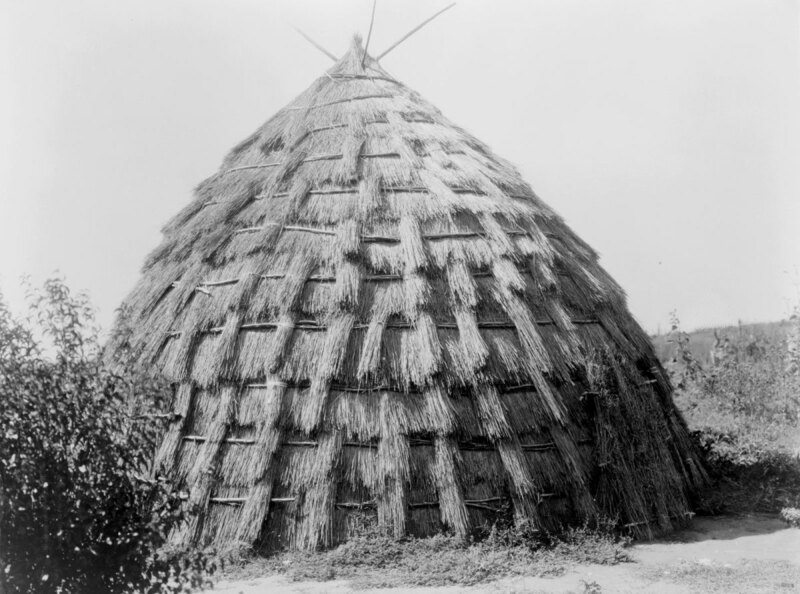 The western Caddos, in modern day Texas and Oklahoma, built earthen lodges with thatched roofs. Typically, each Caddo village included a temple mound and a ball court. Occasionally, some villages were surrounded by log walls for protection. Generally, the Caddos interacted frequently with all the other tribes of the Southern Plains, particularly the Osage, Comanche, Kiowa, and Quapaw. The Caddo were typically friendly with these tribes, trading goods and inter-marrying, but in times of stress or in order to prove their courage they would wage small wars against each other. The Pawnee were originally residents of Nebraska and Kansas. 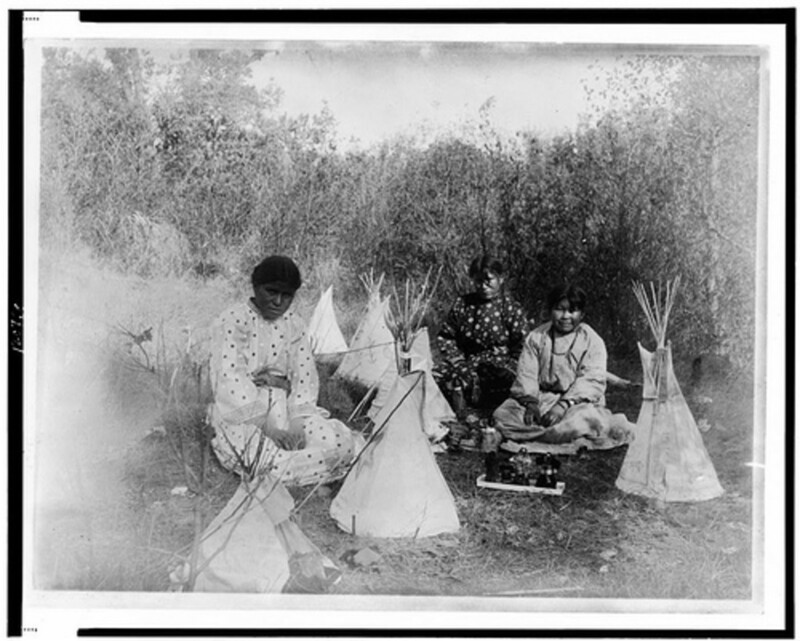 The Pawnee tribe was forced to move to a reservation in Oklahoma during the late 1800's, and most are still living in Oklahoma today. 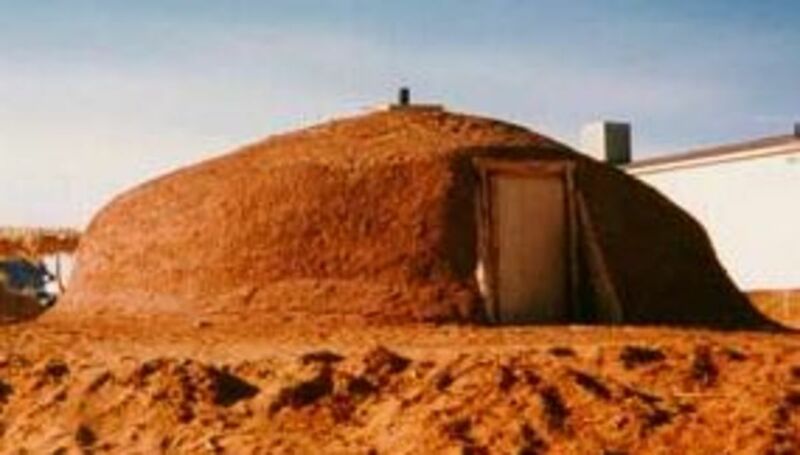 The Pawnee Indian lived in permanent villages of round earthen lodges that were made from wooden frames covered with packed earth. 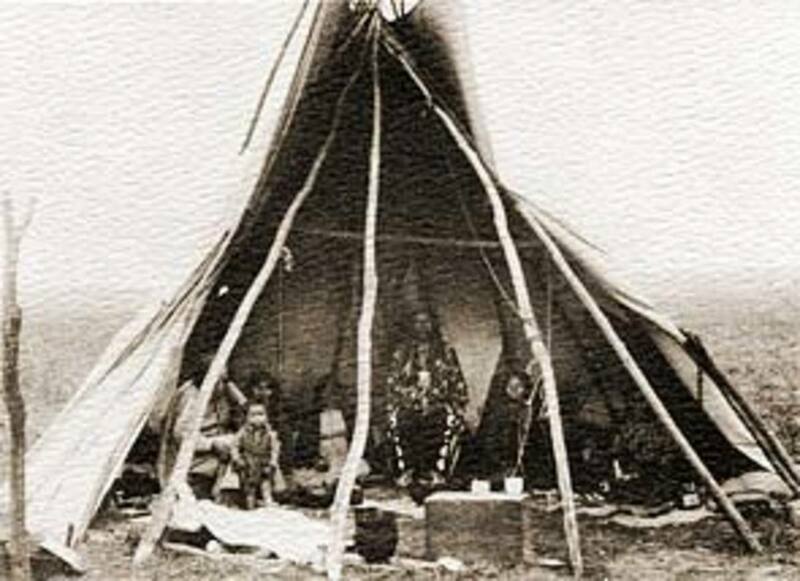 When the Pawnee tribe went on hunting trips, they set up buffalo-hide tipis (teepees) as temporary shelter. Pawnee hunters primarily used bows and arrows. In war, Pawnee men fired their bows or fought with war clubs and spears. 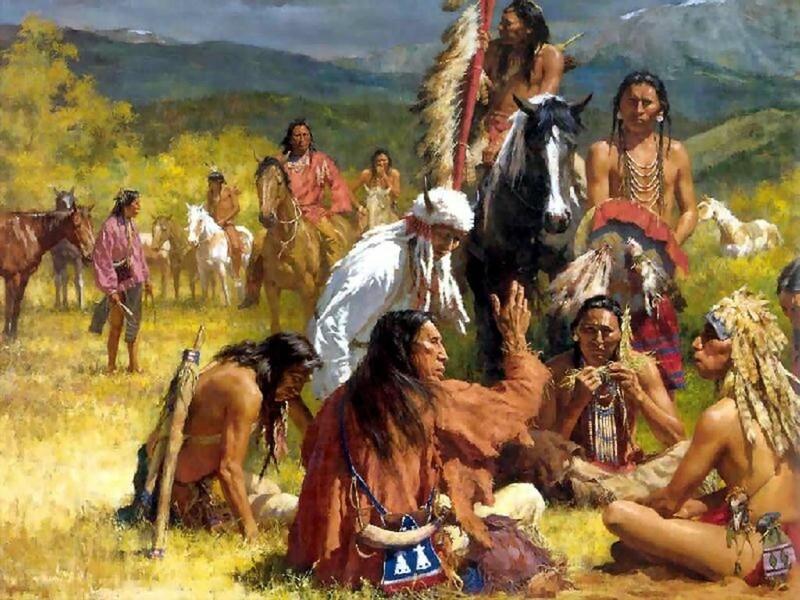 The Pawnees traded different tribes of the Great Plains and the Western Plateau, such as the Comanche and Omaha. These tribes usually communicated using the Plains Sign Language. The tribes that the Pawnees frequently fought with included the Apache, Kiowa and Sioux. 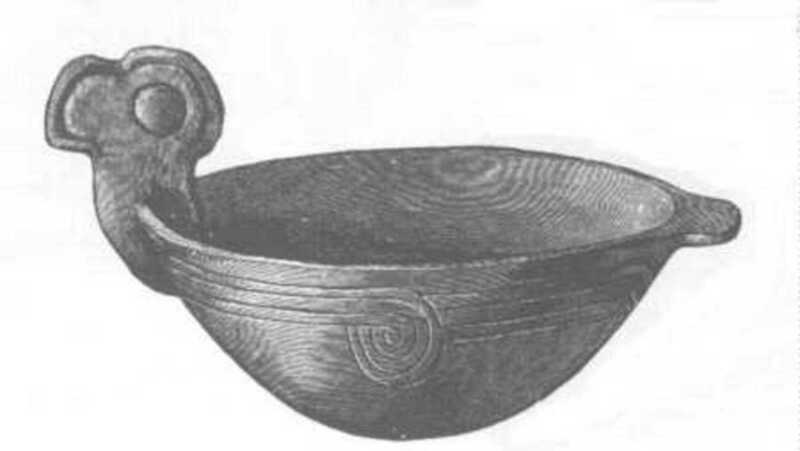 The Pueblo originally lived in the Southwest deserts, particularly New Mexico. (The Hopi live in Arizona, while the Ysleta del Sur Tigua live in Texas.) Unlike many Native American tribes, the Pueblo Indians were never forced to leave their homelands and are still living there today. In the past, the Pueblo Indians had a theocratic government in which the head priest or cacique (pronounced kah-seek) was also the town chief. 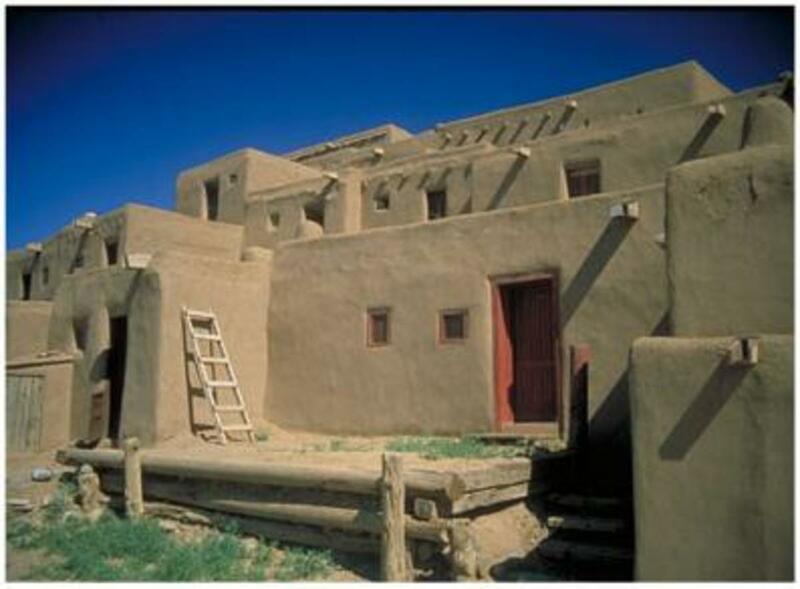 Pueblo people lived in adobe houses known as pueblos, which are multi-story house complexes made of adobe and stone. Each adobe unit was home to one family. Each pueblo can contain dozens of units and was often home to an entire extended clan. 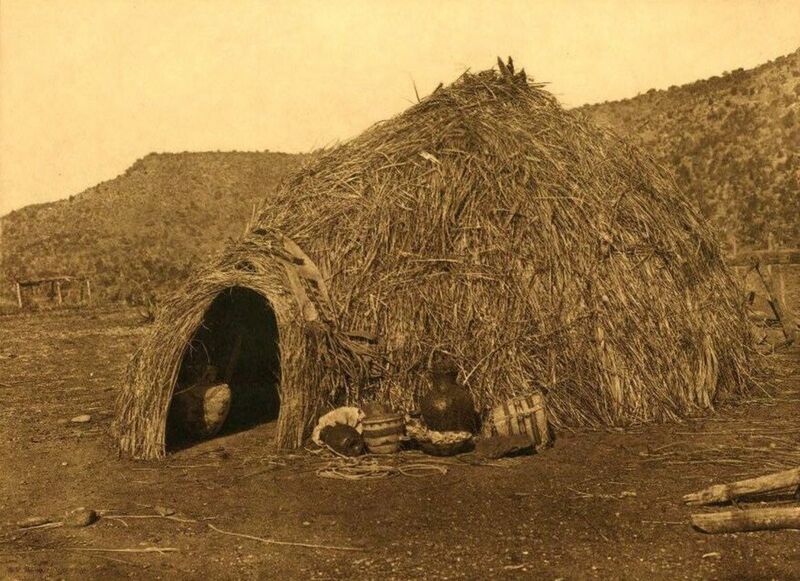 Unlike most old-fashioned Indian shelters, traditional Pueblo houses are still used by many people today. 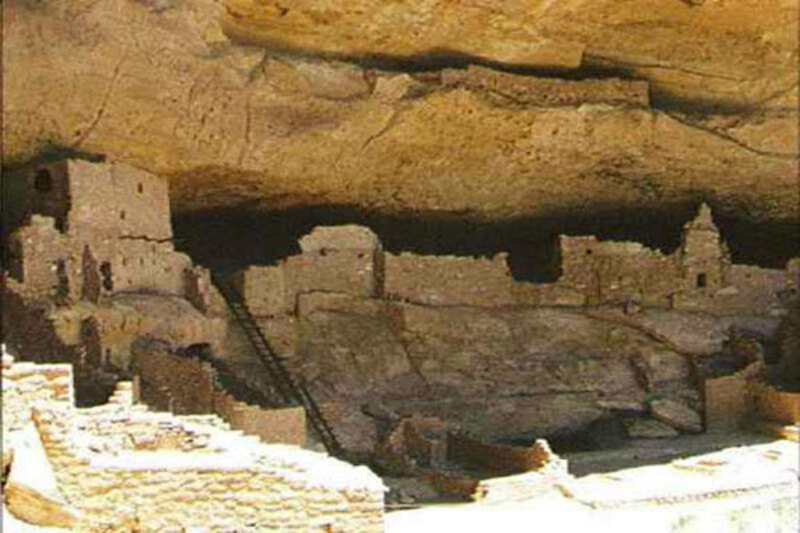 In fact, some Pueblo people have been living in the same adobe house complex, such as Sky City, for dozens of generations. The Pueblo traded extensively with other tribes in the Southwest, reaching into Mexico and to the California coast. The Navajos and Comanches were favorite trading partners, though they often fought with each other as well. Other enemies of the Pueblo tribes included the Apache and Utetribes, who frequently raided their territory, and the Spanish, who forced many Pueblo Indians into slavery and violently suppressed their religion. The Chiricahua Apache are the original people of the Southwest, mainly in what is now New Mexico, Arizona, Texas, Colorado, Sonora, and Chihuahua, in northern Mexico. 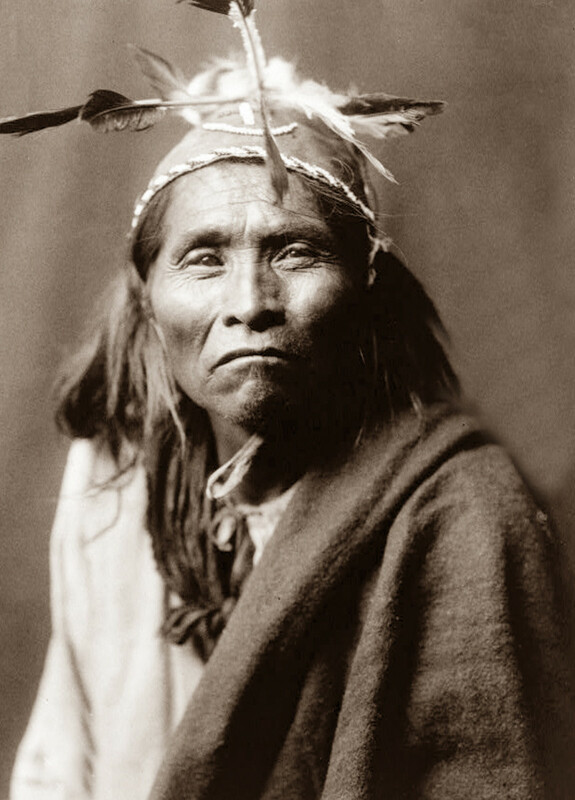 Over time, the Apache occupied and existed within their territories known to all as the "Apacheria" with each local group adapting to their own distinct environment, climate and or terrains by available food sources. Through creation stories and an oral history passed down for hundreds of generations the Apache have maintained their heritage and culture to this day. 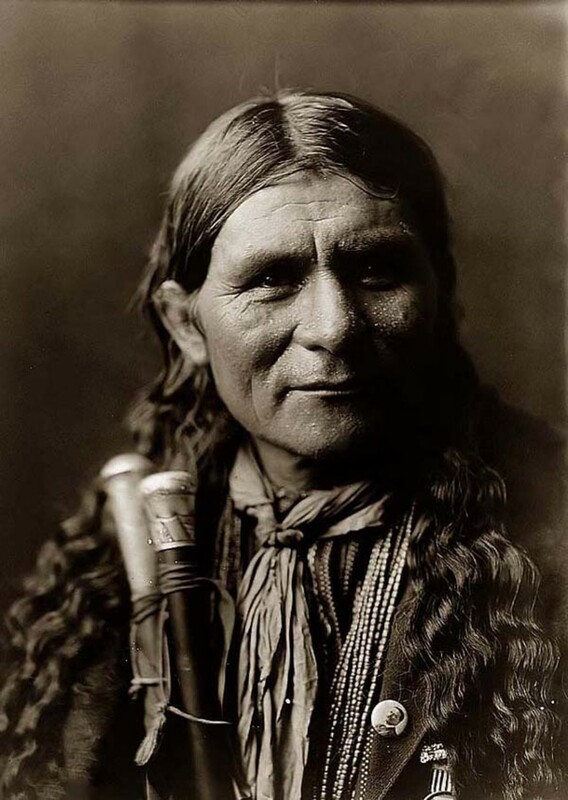 The Chiricahua people are probably the widest known group of Apache based on the prolific and often time romanticized portrayals of two great leaders, Geronimo and Cochise. In truth leaders and all Apache displayed character traits like no others. After their surrender in 1886, the Chiricahua people were displaced and scattered, some were shuffled from prison sites in Florida, Alabama and Oklahoma as the longest held prisoners of war in history, 27 years. This experience has become an element of our identity one of adaptation to any environment which we continue to honor with organizations such as the Chiricahua Apache prisoner of War Decedents. The Apache are originally from the Southwest deserts (particularly in Arizona, New Mexico, and Texas), as well as parts of northern Mexico. One Apache band, the Na'ishan or Plains Apache, lived away from the other Apaches, in what is now Oklahoma. Their customs were different from other Apaches, more similar to their Kiowa neighbors. For that reason, the Americans often called the Na'ishan "Kiowa-Apaches." Originally Apache women wore buckskin dresses and the men wore leather war shirts and breechcloths. In the 1800's, many Apache men began to wear white cotton tunics and pants, which they adopted from the Mexicans, and many Apache women wore calico skirts and dresses. The Apaches wore moccasins or high moccasin boots on their feet. An Apache lady's dress or warrior's shirt was often fringed and beaded for decoration. Here is a site about the symbolism of Plains Indian war shirts, and some photos and links about Indian costume in general. The Apaches did not traditionally wear feather warbonnets, but the Plains Apaches adopted these headdresses from their Kiowa allies. Other Apache people wore leather or cloth headbands instead. Women usually wore their hair long and loose or gathered into a bun. Many young Apache women fastened their buns with hourglass-shaped hair ornaments called nah-leens. 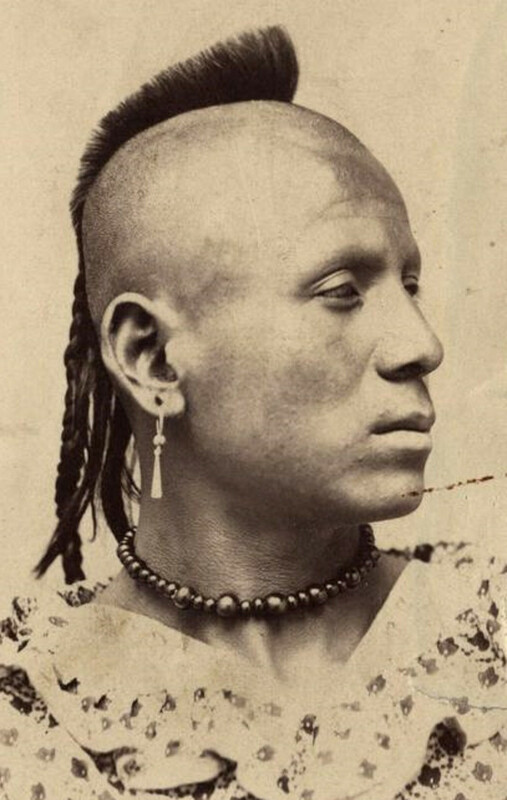 Apache men often cut their hair to shoulder length (except in the Plains Apache tribe.) Both sexes liked to wear shell jewelry, especially choker-style necklaces. 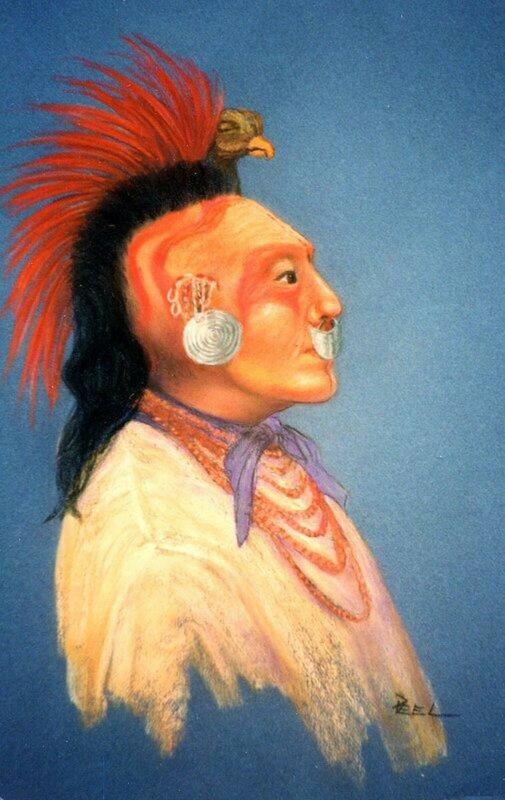 The Apaches also painted their faces for special occasions. They used different patterns for war paint, religious ceremonies, and festive decoration. The Apaches traded regularly with other tribes of the Southwest. They particularly liked to trade for corn from agricultural tribes like the Navajo and Pueblo tribes. More often, though, the Apaches were known for raiding neighboring tribes and stealing horses, corn, and other goods. The Apaches had different ideas about war than Europeans did. 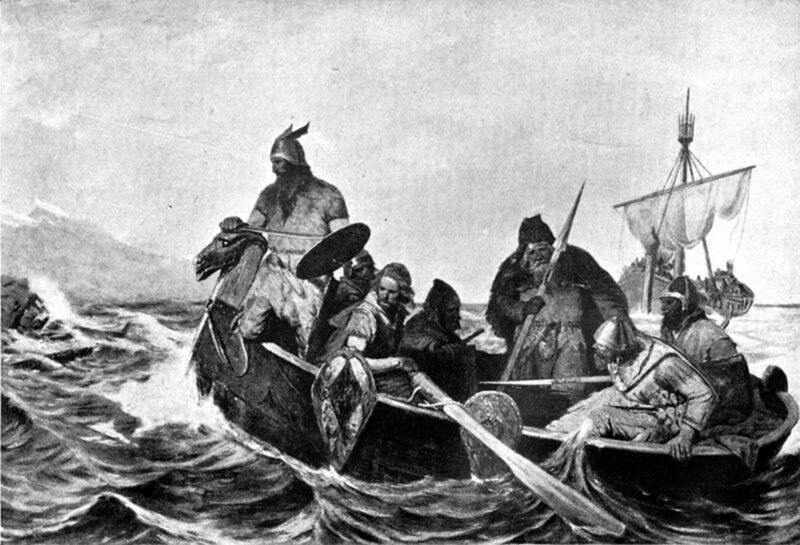 The Europeans considered a direct attack honorable but thought sneaking in and stealing things was cowardly. But to the Apaches, stealthily raiding another tribe's camp was a brave deed because it meant risking their own lives, but attacking the camp openly would be shameful, because children and old people were likely to be hurt. Apache warriors usually only fought real wars over matters of revenge or defending their lands from invaders, like when they fought against the Mexicans and Americans. At other times, Apache men went on raids primarily to prove their courage.